UL Classified, thermally protected evaporative cooler replacement pumps with flame retardant plastic. 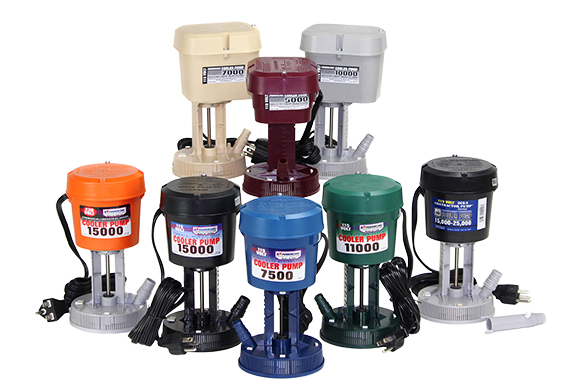 The most powerful and longest lasting pumps in the industry. 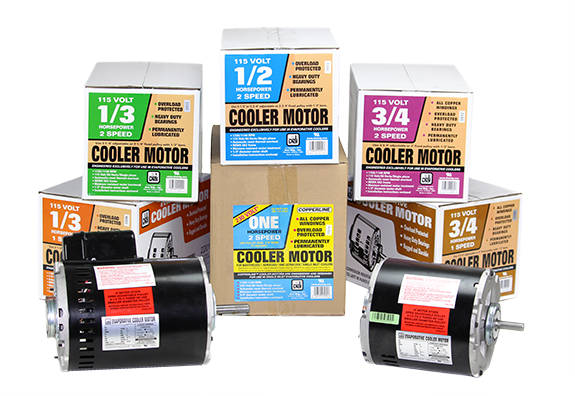 Dial evaporative cooler motors are built for reliable performance in evaporative coolers. Rugged, durable and overload protected. From scale build-up to air fresheners - Dial Manufacturing has the evaporative cooler maintenance products to keep your cooler running efficiently. 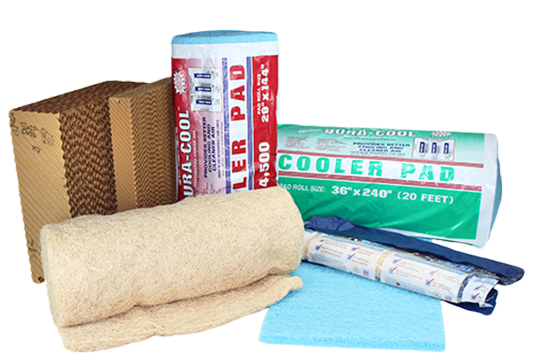 Keep your evaporative cooler running efficiently and providing cool air all season with Dura-Cool™, Aspen and Rigid Media evaporative cooler pads. Evaporative cooling is an economical alternative to standard central air conditioning which is used mostly in the Western United States. 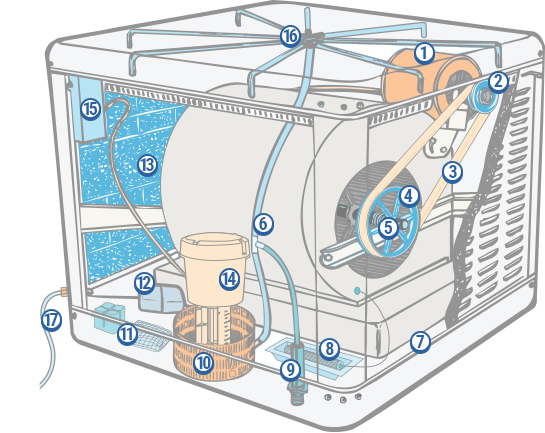 The concept involves pumping water from the bottom tray of an evaporative cooler up to distributor tubes. The water is routed through the distributor tubes and is directed out to the sides of the cooler where it is dropped onto a cooling media. A fractional horsepower motor is used to spin a blower cage which moves the air out through the cooling media, creating "cooled air". Dial Manufacturing, Inc. is in the business of providing replacement parts and accessories for evaporative coolers. Headquartered in Phoenix, Arizona, it is owned and operated by the same family that founded it in 1965. Dial is the undisputed industry leader, with the broadest product assortment and packaging options available. With over 50 years of experience in the evaporative cooler industry, Dial is committed to providing the highest quality products at affordable prices. Dial has full-time factory representatives in every major metropolitan market where evaporative cooling is utilized. They understand the unique attributes of each evaporative cooling market and provide in-store service and product knowledge training. In addition, Dial has an in-house engineering department whose expertise is reflected in the design, production, and high level of quality control of our products. As a testament to product quality, many evaporative cooler OEM's use Dial products in their coolers.